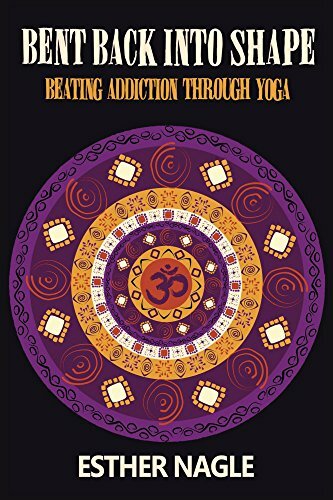 Bent Back into Shape: Beating Addiction Through Yoga is the debut book from Esther Nagle, and is available now on Amazon. In 2014, following a breakdown, Esther Nagle entered Yoga teacher training, thinking it was going to give her a different way to earn money. She emerged a year later having freed herself from the depression and alcoholism she barely realised she was suffering from, a wiser, happier, healthier and stronger woman. This inspirational and transformative book tells the journey of Esther’s addiction and recovery, and the ancient wisdom of Yoga that helped her find inner peace, sobriety and herself. If you think Yoga is just an exercise class, or sitting cross legged chanting OM, then you are in for a surprise when you learn of its true power. “There is a common misconception amongst the general public that living a life free of alcohol is to live a life with something missing. A life where every day is struggle against the demon drink. Esther Nagle puts these myths firmly to bed with her exploration of addiction and recovery and the power of yoga to both bring joy and to still ‘the whirlpools of the subconscious mind’.